We have more news to share with you about AGRAMON'S GATE, a film we have been following the making of for some time. You can find our previous news articles HERE and HERE. 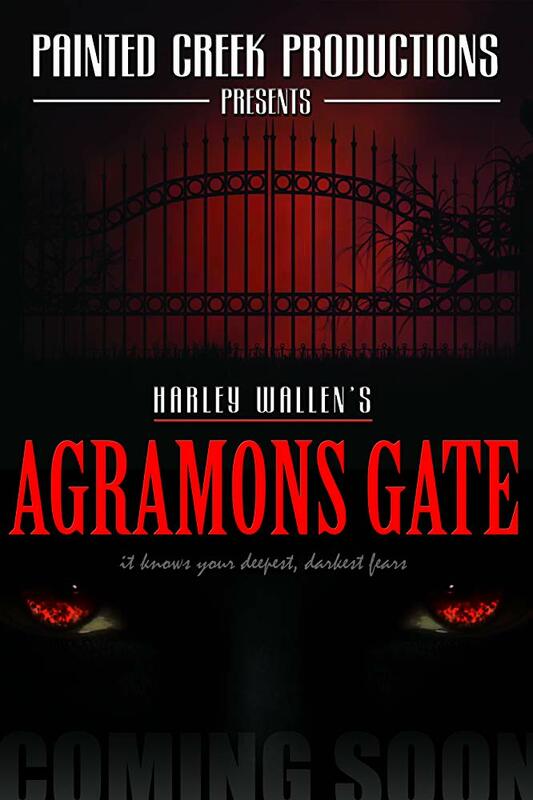 Painted Creek Productions has released the Official Trailer for Harley Wallen's new horror movie, AGRAMON'S GATE. "When I wrote Agramon’s gate this was one of the scripts that came out really easy. I wanted to make a horror movie with a good storyline that had good plot and great characters. So writing it pretty much poured right out after I figured out the components, characters and story. I was always a fan of horror movies that offered more than just gore. I love when there is a great story, strong suspense and some mystery along with some jump moments and some gore and frights! I really feel we brought that to life in Agramon’s Gate. I must say as a director it was a great journey and some really electric performances from my outstanding cast and with a solid team behind the camera I can’t wait to bring this to the audiences to go for a ride with us!"